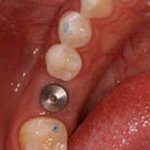 Dental implants have almost become ‘trendy’. Dental implants act as a false (but very strong) root that we surgically fit to the jaw bone. Once the site has sealed, we then attach a fixed crown, which will look and feel just like your natural tooth.You will be able to eat almost anything – just like you can with a natural tooth. Whilst previously used as a perfect solution for missing teeth they are now proving the perfect solution to enhance the perfect smile. 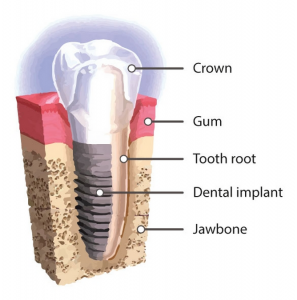 If you would like to discuss implants with us, then give us a call today. We will book you in for an assessment. Whilst a fantastic solution for many, in some cases, patients might not have enough bone (or bone density) to warrant a dental implant. A preferred option by many, dental implants really have been revolutionary in changing the smiles of millions of people. Our aim is to give you the confidence you deserve.